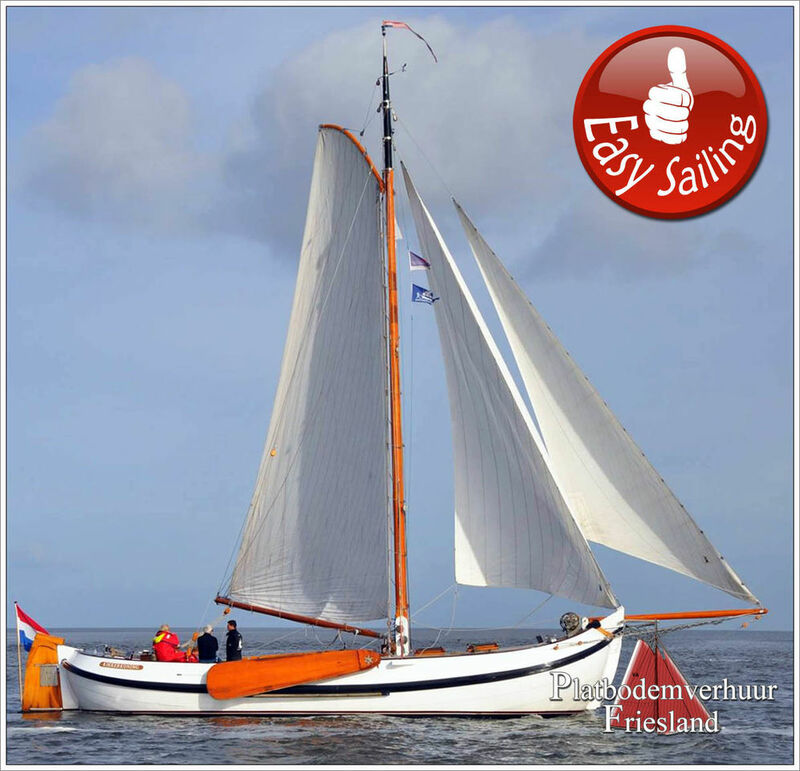 The elegant white Visserman Aak KIKKERKONING (Frog Prince), built in 1995. 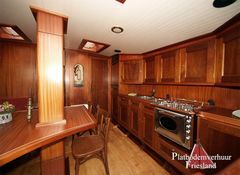 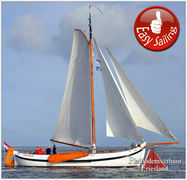 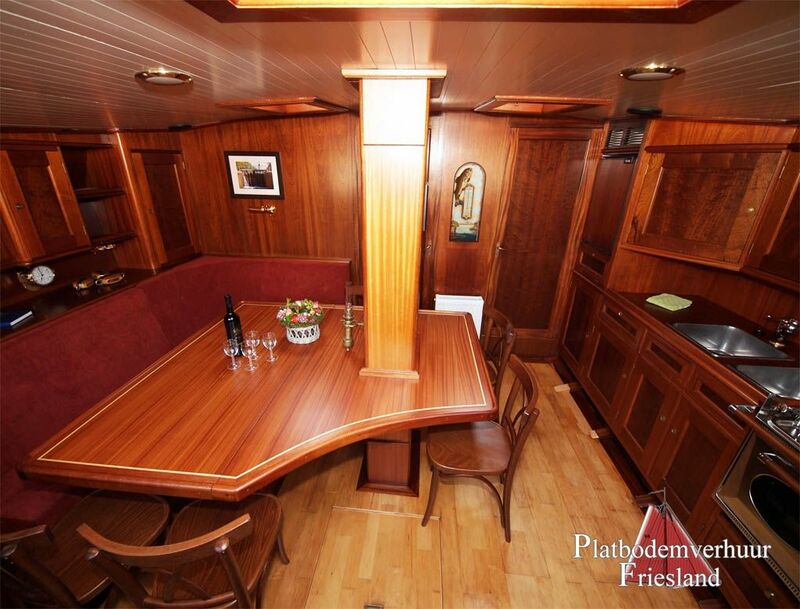 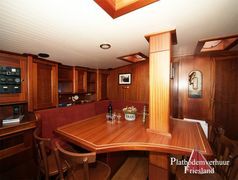 A very spacious flat bottom sailing boat, the whole ship standing headroom! 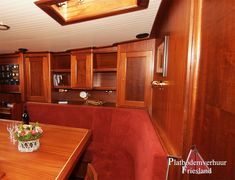 Comfortable interior with sleeping accommodation for max. 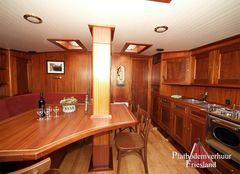 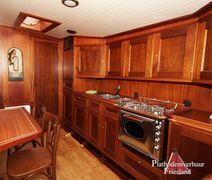 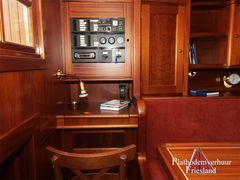 10 people, including four berths in the forward cabin, two in the seating area in the living room and for in the rear (accessible from the doghouse and also from the salon), a galley to starboard in the salon with gas stove, oven and refrigerator, U - bench with table. 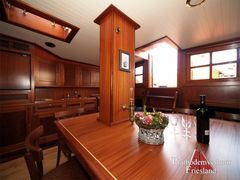 The aft deck is equipped with plenty of seating, a large table (at the same entrance to Achteronder) where you can eat with the whole crew.